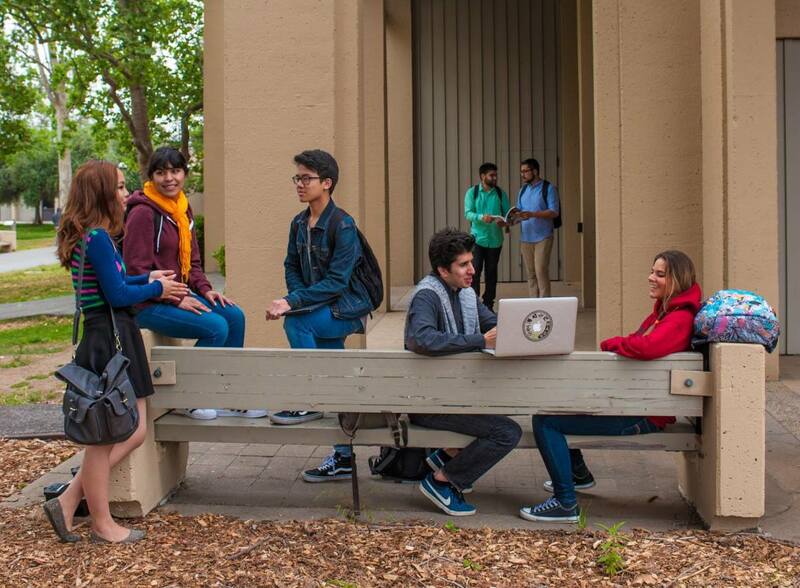 Students hang out on campus at De Anza College in Cupertino, California. In October of 2017, following in the footsteps of Tennessee, Minnesota, New York, Rhode Island, and Oregon, California became the latest state to announce free community college. 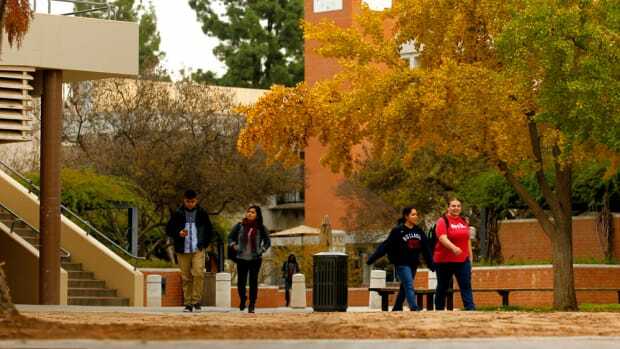 Building on various local initiatives, the California College Promise, which will go into effect in the fall of this year, offers one year of free tuition to any California resident enrolling in community college for the first time. As more and more states are launching their own versions of tuition-free college, those programs may come at the expense of international students, who often pay significantly more in tuition. According to new data from the Institute for International Education, around 96,500 international students studied at the 1,100 community colleges in the United States in the 2016–17 academic year. Although international students account for little more than 1 percent of the entire community college population, almost 10 percent of the nearly 1.1 million international students in the U.S. study at community colleges. 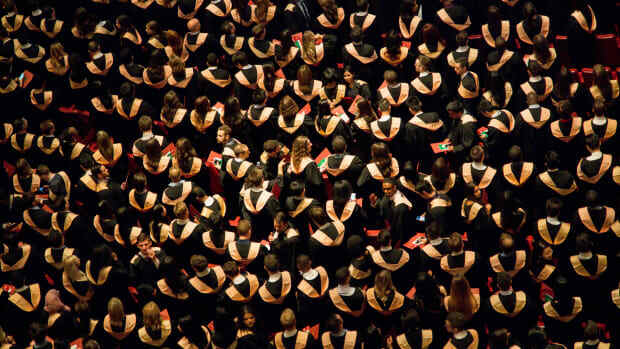 When graduate students are excluded from the total number, community college students make up approximately 17 percent of all international undergraduates. Nikita Diallo, an international student from Burkina Faso studying at De Anza College in Cupertino, California, chose the community college route because it gave him more time to figure out what he wanted to study. It offered an affordable way to take his general education requirements and try out different classes to see what might be the best fit. He finally settled on business administration after dabbling in management and marketing. Diallo is one of the nearly 2,800 international students currently studying at De Anza. It boasts the fourth-largest international student population in the country and the second-largest in California, with international students like Diallo making up 12 percent of De Anza&apos;s study body. For the 2017–18 academic year, he pays $7,131 in non-resident tuition and fees for 12 credits, compared to $1,515 for in-state residents—almost five times as much. In total, Diallo and his peers at De Anza (which is part of the Foothill-De Anza Community College District) paid nearly $15.5 million in international student fees in the 2016–17 fiscal year. 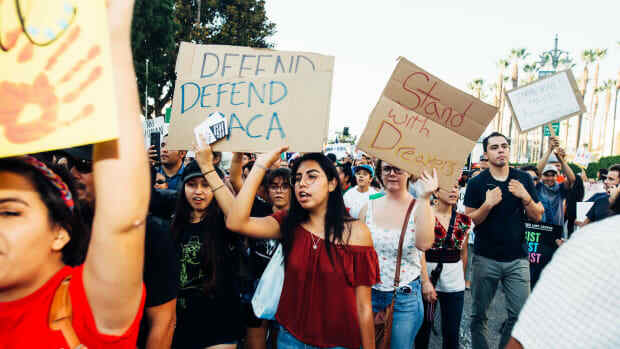 These fees amounted to an estimated 5 percent of the district&apos;s general budget, which was around $360 million, and helped fund faculty salaries and benefits, according to Marisa Spatafore, De Anza&apos;s associate vice president for communications and external relations. International student enrollment at De Anza has steadily increased over the last several years, growing by more than a third since 2005. De Anza&apos;s growth occurred at a time when the education system in California was feeling the effects of the recession. Rob Mieso, associate vice president for student services at De Anza, stressed that the college wasn&apos;t viewing the recruitment of international students as a potential revenue stream. "International student fees, at the most basic level, permit us to offer more classes to all students," he says. "We wish to enrich the learning experiences of all students, both domestic and international, in terms of working together and across cultures." Many international students, like Diallo, look at community college as a stepping-stone to a four-year institution. Now a second-year student, Diallo says he&apos;s "85 percent sure" that his top transfer pick is California State University. IIE&apos;s top 10 associate degree conferring institutions all have more than 1,500 international students, with the Houston Community College System taking the top spot, hosting 5,982 international students. The most popular states for international students are California, Texas, Washington, Florida, and New York; China, Vietnam, and South Korea send the most students. The California community college system faced deep budget cuts of $1.5 billion between the 2007–08 and 2011–12 academic years, data from the Public Policy Institute of California shows. As a result, course offerings were cut statewide by roughly 25 percent. 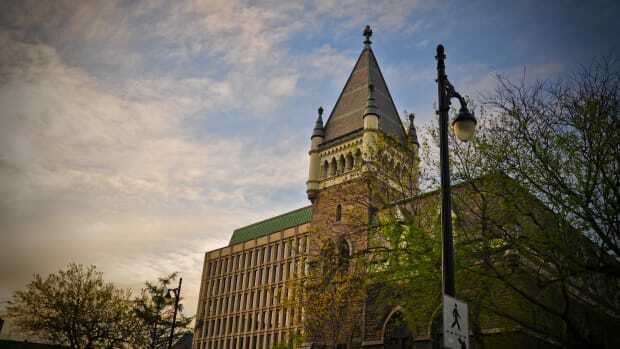 Since international student fees usually go back into the general fund that support colleges&apos; general operations, tuition from international students has become a significant, although small, part of many college&apos;s budgets. Similar to California, lawmakers slashed budgets for Washington state&apos;s 34 community colleges in the years following the 2008 recession. International student enrollment at Green River College, located south of Seattle, has increased while state appropriations have fallen. The college has buoyed its operating budget with $57 million in international student tuition since 1988, according to budget director Janee Sommerfeld. In 2016, the college hosted 1,798 international students, more than any other college in Washington. Wendy Lee Stewart, vice president of international programs, says that 10 percent of Green River&apos;s current local and state operating budget is funded by international tuition revenue. She says that international student tuition helps fund the college&apos;s general operations, as well as its capital projects. 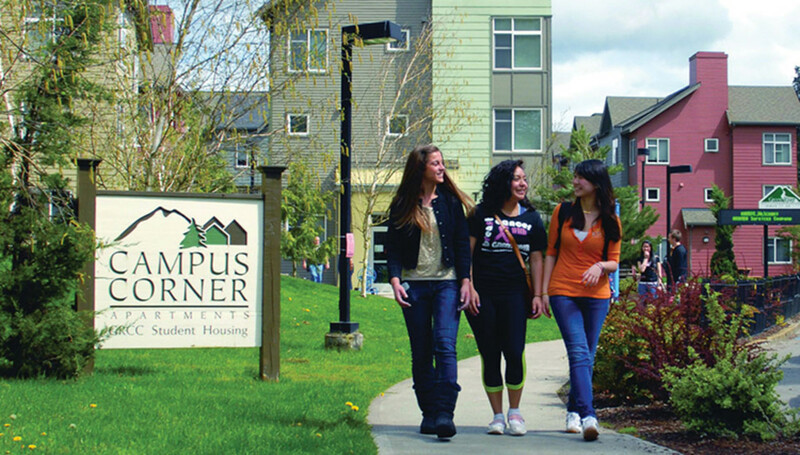 Students walk on campus at Green River College in Auburn, Washington. Stewart claims the money international students bring in is beneficial for domestic and international students alike. "International student tuition allows for the increased capacity in offering high-demand classes," she says. Very little research has been done on the explicit link between international enrollment and state financing at community colleges, but community colleges often follow trends observed at four-year institutions. Several studies have found a correlation between cuts in state spending on higher education and an increasing reliance on international student tuition at public four-year universities. A 2016 study by the National Bureau of Economic Research, for instance, found that that a 10 percent cut in state allocations was accompanied by a 12 percent increase in international enrollment at public research universities. While a handful of the top host institutions like De Anza and Green River have had well-established programs for more than a decade, many community colleges around the country are only now significantly invested in boosting their international populations. Joann Ng Hartmann, senior director of international enrollment management and international student and scholar services at NAFSA: Association of International Educators, says that there is both an increased awareness of the U.S. community college system abroad, and colleges have become more sophisticated in their recruitment. But the idea of pursuing international students to bolster enrollment and boost revenue often sits uneasily next to the traditional conception of the community college as an open-access institution dedicated to serving the needs of the local population. Many colleges have thus recast their institutional missions to embrace the global for the benefit of the local. Rosalind Latiner Raby, director of non-profit California Colleges for International Education, says there is a lot of research documenting the economic benefits of having international students on campus. Domestic students, for example, gain cross-cultural skills from interacting with international students. Raby says there is a common perception that international students displace domestic students in classrooms. In fact, their presence has quite the opposite effect, especially at a time of declining domestic enrollment. In an analysis of California community colleges, Raby calculated that tuition from 30 international students could fund one full-time faculty position. For every 200 international students enrolled, a college can expect $1.2 million in tuition. Some experts, however, question whether community colleges will be able to boost international enrollment much beyond the current numbers, which have only fluctuated slightly in the last 10 years. "This indicates that the demand from student-side has not shifted dramatically in the last decade," says Rahul Choudaha, executive vice president of global engagement and research at StudyPortals. IIE data indicates that, while overall enrollment at community colleges increased slightly in 2016–17, up 1.1 percent from the previous academic year, enrollment of new international students was down 9.4 percent from 2015–16. This mirrors a larger trend of declining new enrollment in the U.S. across all educational levels—though not because of a "Trump effect." "For this cycle, the students were already in the pipeline and were already in the process of applying, so it wasn&apos;t a reflection of the political climate," Ng Hartmann says. Ng Hartmann says that, ultimately, building a robust international student program requires re-investment of tuition in both campus classrooms and student services. "It&apos;s not just about getting that student on your campus and having those tuition dollars. You have to invest in the systems that allow you recruit more international students and then support them [once they&apos;re there]." For decades, a small federal program has been helping the students of farmworkers win at college by smothering them with support.